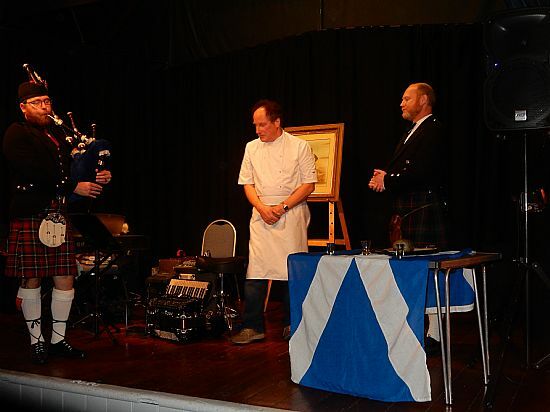 VE4All (Village Events 4 All) will be holding their annual Burns Night again in January 2018. Put a note in your diary now and tell your friends. It will be on Friday 26th January 2018 at the Victoria Hall in Sutton Scotney. 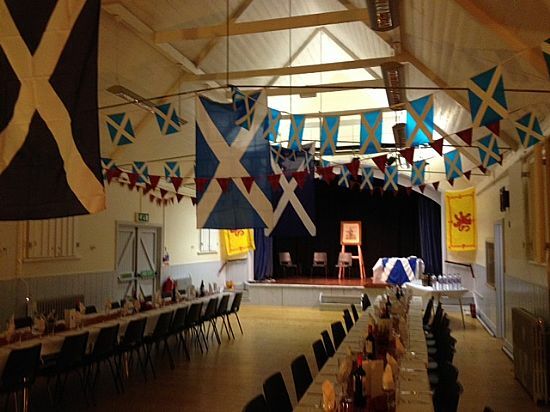 As usual there will be a fabulous three course meal including haggis ' wi' bashit neeps an' champit tatties.'. 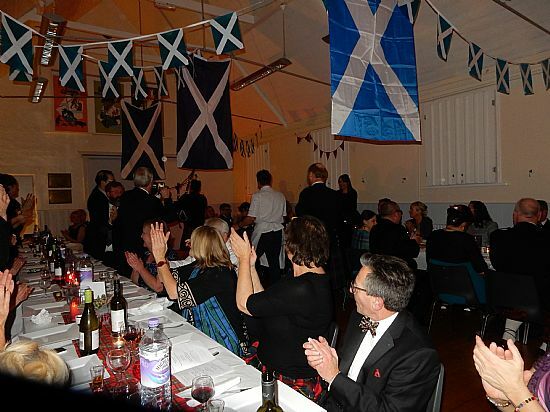 wine and malt whiskey , a ceilidh band and caller and, of course, a piper. 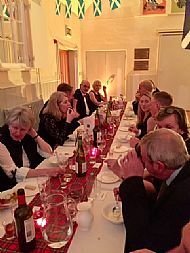 Numbers are limited so once you see the publicity later this year remember to book. Waiting for the haggis. .... did they manage to shoot one?